Tired of using the default menu features of the blogger blogs? Blogger allows you to use its default menu features according to the template you are currently using. There is no default navigation menu bar in blogger. I am using Blogger for more than a year and I have also tried creating a drop down menu bar on my blog too. When I were using the blogger earlier days for my blogs, I tried creating and implementing the drop down menu css codes. Finally, I designed a drop down menu tab for my blog. Later on, I reminded myself today that I could make a blog post out of it and also it will help other people out there too. The above is the sample design for the menu bar. Here is the CSS Code for your blogger drop down menu. I have also attached the HTML sample code below for the CSS so that its easy to understand. The Above code will create a simple drop down menu with complete CSS effects. The HTML code above needs nothing but the input link to the post or page that you want to. If you need to show the hover link or current link with different colors, you can change the color in background: #color in any id and try it. Let me know if you have any changes or difficulties that you find in the code or may be if any errors. Also view our another drop down menu with circular menu lists drop down. Hope you might be interested in it as well. hello boss where to ad css code and remaining codes? Add the CSS code inside the head tag and add the remaining codes on the body tag of your HTML page. Hi, i didn't get where to post this code in blogger,could u pls help? Place the CSS code before closing the head and then place the ul list after the header div to show the menu after the header. I must be doing something wrong. I copied, pasted, and added links to # but the links aren't active nor are the menus dropping down. Nice looking drop down menu with effect. You must be missing something somewhere. Can you tell me where you've gone wrong? It worked for me but how can i add post into the menu? You have to replace the "wrap menu1" to your post name and add your post's link to the anchor tag with respect to the above code. You can change the font by adding font-family style for UL id. Seems like its working. You have to add links to the wrap menu just like you added for the first one. But i dont know how tag/link that to the Post,Please help me. Change the # at the href attribute to your post's link. You can change the color by changing the background property in CSS for the list items. Sub categories can be created by adding an ul tag inside the sub li tag. can you tell me what exactly your problem is? - my blog is at http://www.randomarbjects.net/, I still have my old pages there, as I'm still testing these new drop-down ones, ignore them. - the drop down only appears if I hover just above the text. I tried to copy over your template but I might have changed something to make it do this. - also, I'd like have the new menu in the same position where the current one is, once it's fully funtional. Where do I put it in my code to achieve this? Also, I'd like it centred. Looking forward to hear from you and thanks again! Hi Spenelo., I visited your blog. It seems to be working fine. And if you'd want to have the menu at the center, try placing the whole ul list inside a div setting align=center. Thanks Vicky, after I sent you that, I played around more and almost got it to work right. Just need to change the look of it because it's pulling the template's (parent's) css for the curved edges. But thanks for this blogpost, I have another blog that's still new that I'm going to apply it to as well! does not proper working on my blog plz check at shivamnarula.blogspot.in I want to add submenu on top menu ( language) in my site,but submenu is showing in another page. You've placed the code in the language page. You should place the code in the template layout where you've your menu code already. You should go to Template->Edit HTML and then search for your current menu code. Then replace them with the new menu and also the css to be placed before closing style tag. >You should go to Template->Edit HTML and then search for your current menu code. >Then replace them with the new menu and also the css to be placed before closing style tag. ... I followed your advice and went to "Edit HTML". I got a lot of code and I did a search on it. be in the general Templet. I am a confused newbie, who would like to have your nice pull-down menus. Hi Tom, Search for your current menu name eg: like Home etc.,, then replace the whole menu code with the menu here. Then add the css code just before ending the style tag. 3) Click into the code window and use cntr+F to open text search and search for e.g. "InOutHome" or "InOutContact", which are two of my pages, listed at the Pages-bar. I do NOT get a search result, these words are not in the code? 4) I use the "Jump to widget" menu and select "PageList1", which seems to be the Pages widget, again I search for "InOutHome" but I cannot find anything? Where is the code for Pages widget? Else you paste the style code anywhere before ending the head tag. Then Search for "widget id='header1'" and add the menu HTML code after the header widget section finishes. Nice code for new blogger. Thanks for your code. I would like the menu bar to be centered and I'm having a little trouble with it. I tried placing the ul in a div set to center like you suggested, but for some bizzare reason it is only centering the items within the sub-menus, not the main menu items. Any thoughts? Actually, I figured it out. You have to set a width on the div and use margin:auto. What do I change here? Do I put the link of the sub menu here I presume? But where? An example would be great. And as for the top code I'm really confused as to what I change (apart from the colour etc). I don't know where to put the links for the pages or what it means when it says li li a and li ul. I know ul breaks a drop menu from another one but please show me an example of what you put in that code. I've only been familiar with this kind of code for a few days so bear with me. Hi Amy, For the li piece of code after Home, you have to put the sub menu link at Sub Menu Indicator and then change the links inside the li for sub menus. Since you asked for an example, I just created a jsfiddle now. Have a look at it. Hey, thanks for your hard work. I managed to do it but I want to change the font and colour. When I went onto template>HTML and searched for the colour code #464849 for example (I used a different colour), it didn't find it. I went through it manually and found the text I had copied and pasted has vanished. So how do I change the colours now? And the font? Does the menu appear in your page. If yes, then search for the style with the id name like #vicnav and you'll see the code to change the color and font. Hi all, after some fiddling around with jsfiddle was able to create multiple sub-menus, see http://jsfiddle.net/W2kDz/31/ . Now the question is, how to use this code and where to put it in blogger? hi my name is justina. thanks so much for your help.i tried your method and it worked but the problem is 1. rearranging i(i dont want it to be at the head) 2. posting link(i dont understand the way you explained it here). how do i check my post url? I dont quite understand with your problem 1.
for problem 2 you can change the # in the anchor tag with your post url. Geez, could you please give the EXACT code for centering this????? I don't understand your instructions above about the ul in the div. Nothing is working. Without the centering this code is USELESS! It's work for Me Thanks!!! Hi friend, I could not understand the code you shown above. Please help me to create drop-down menu navigation when the curser point is brought near the page that needs to show multiple links for navigation. Could you tell me where you got stuck at ? Hi, I have applied the same logic and drop down menu could see .But when I go to click on drop down menu it just disappears. Please help me in this issue. Hi.. I tried the menu in your blog. It works fine, I clicked the drop down link which is linked to some other blog. Could you tell me exactly what issues are you having? Main menu works fine.But When I go to click on drop down menu, the submenu just disappears.So couldn't click on submenu links. I checked your blog again and I am able to click the sub menu link (eg: Puree and Store ->Tools for Baby Food) which is rooted to babyfoodformom.blogspot.in !! I couldn't find any problem in that. I tried doing drop down menu http://rumblingtummy23.blogspot.sg/ and I wanted to wrap text. How do I do it? thanks. Its very useful for me, finally i got good code and applied for my blogger..
Thats Great Article. 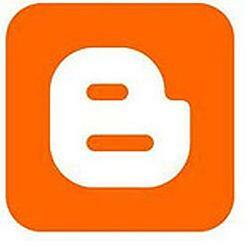 Its a very useful me to my blog.